Congratulations to Catherine Bishop, whose book Minding Her Own Business: Colonial Businesswomen in Sydney has been shortlisted for the 2016 Ashurst Business Literature Prize, an award established to encourage and recognise the highest standards of literary commentary on Australian business and financial affairs. Further information. Congratulations to AHA’s Frank Bongiorno, whose book The Eighties: The Decade that Transformed Australia has been shortlisted for the Council for the Humanities, Arts and Social Sciences’ 2016 book prize. 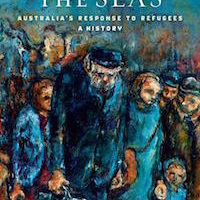 Also shortlisted are historians Klaus Neumann, for Across the Seas: Australia’s Response to Refugees, and Brenda Niall for Mannix. Further information. Congratulations to AHA member winners of 2015 Queensland Literary Awards!